In June this year, SophirisBio (a West Coast biotech company) initiated a Phase IIb clinical trial of its investigational drug PRX302 (also known as topsalysin) in the treatment of low- and intermediate-risk, localized prostate cancer. The so-called IDEAL clinical trial is designed to enroll just 20 patients at a single center in the United Kingdom as a way to get a clear idea of whether PRX302 has meaningful potential in the management of prostate cancer. PRX302 had initially been in clinical trials for the treatment of benign prostatic hyperplasia (BPH or a simple enlarged prostate). Data announced by SophirisBio in a media release earlier today suggest that PRX302 does indeed have activity in the treatment of BPH … but the company may need similar data from a second Phase III trial before regulators are willing to approve this drug for treatment of BPH. PRX302 is given as a single transperitoneal injection for the treatment of BPH and the same way in the exploratory IDEAL trial for the treatment of low- and intermediate-risk prostate cancer. From that point of view, treatment with PRX302 may be much less invasive than currently available treatments for low- and intermediate-risk prostate cancer, but it will be a while before we have clear information about the effects of PRX302 on men with prostate cancer. Side effects associated with the use of PRX302 in the management of BPH have been relatively few and relatively mild. Whether that will be the case for men being treated for prostate cancer remains to be seen. Intravenous use for metastasized prostate cancer a possibility? PSA targeting would seem ideal. I think it would be wise to see if this drug has any activity at all in localized prostate cancer before we start trying it in men with metastatic disease. Frankly, I am very doubtful about the potential effectiveness of this drug in the treatment of cancer. I think you are raising an interesting question. Perhaps, like the Lu-177-PSMA antibodies currently in clinical trials, it can seek out and destroy metastases after prostatectomy. I don’t know how much of the drug it would take to accomplish that intravenously and the toxicity of that. The way they are using it now, it is a form of chemo-ablation and has to be applied directly to the lesion to be effective. For BPH, it ablates prostate cells where it is applied, much like a chemical TURP. For prostate cancer, it would be done using mpMRI-targeting (or other imaging) of the index lesion and injected directly into the tumor. Because it only eats away at PSA-producing cells (both cancerous and healthy), it preserves nearby nerve tissue and blood vessels. Very cool stuff. This is all great in theory, but in truth the effect of this drug in BPH has been relatively limited. Is it active? Yes, it is. Does it actually alleviate serious BPH for the majority of patients? Not so clear at all! 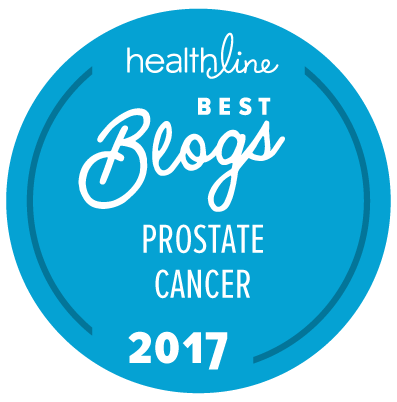 I am not aware of any reliable data (yet) that this drug can actually destroy prostate cancer tissue with minimal risk for recurrence. I think we need such data before we start taking this type of opportunity too seriously. I understand your concern; a whiff of a possibility is not the same as a promise. Sometimes it is taken that way.